ties of fossils, scattered in various sedimentary strata throughout the world. Yet how are the rocks and the fossils dated? In this section we are going to learn that the rocks, from the fossils, and the fossils are dated from their theories about the dating of the rocks! REAL HISTORY—Real history only goes back about 4,500 years. The First Dynasty in Egypt has left us records that date back to about 2200 B.C. (That is the corrected date as determined by scholars; Manetho's account reaches to 3500 B.C. 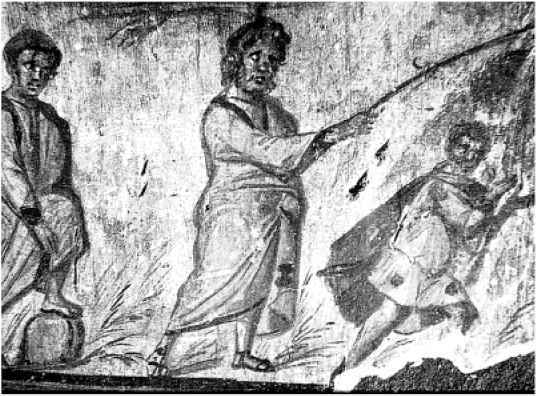 See chapter 21, Archaeological Dating. [Due to a lack of space, we had to omit nearly all of the chapter from this book, but it is on our website.]). Moses began writing part of the Bible about 1480 B.C. He wrote of events going back to about 4000 B.C. Yet evolutionists claim that they can date this rock or that rock—going back into the millions of years! The entire geologic column—from bottom to top—is supposed to have taken 2 billion years, with millions of years being assigned to each level of strata. On what basis do they presume to think they can assign such ancient dates to the origin of various rocks? With the exception of some recently erupted volcanic lava, no one was present when any rocks were laid down. A man picks up a piece of rock from the distant past and, although he himself may be only half a century old, he claims to be able to date that rock as being 110 billion years old! NOT DATED BY APPEARANCE—Rocks are not dated by their appearance, for rocks of all types (limestones, shales, gabbro, etc.) may be found in all evolution ary "ages." Rocks are not dated by their mineral, metallic, or petroleum content; for any type of mineral may be found in practically any "age." NOT DATED BY LOCATION—Rocks are not dated by the rocks they are near. The rocks above them in one sedimentary sequence may be the rocks below them in the next. The "oldest rocks " may lie above so-called "younger rocks." Rocks are not dated by their structure, breaks, faults, or folds. None of this has any bearing on the dating that evolutionists apply to rocks. Textbooks, magazines, and museum displays give the impression that it is the location of the strata that decides the dating, but this is not true. "It is, indeed, a well-established fact that the (physi-cal-stratigraphical) rock units and their boundaries often transgress geologic time planes in most irregular fashion even within the shortest distances."—*J.A. Jeletzsky, "Paleontology, Basis of Practical Geochronology, " in Bulletin of the American Association of Petroleum Geologists, April 1956, p. 685. NOT DATED BY RADIOACTIVITY—The_rock strata are not dated by the radioactive minerals within them. The dating was all worked out decades before anyone heard or thought of radioactive dating. In addition, we learned in the chapter on Dating Methods, that there are so many ways in which radiometric dating can be incorrect, that we dare not rely on uranium and similar minerals as reliable dating methods. INDEX FOSSILS—Are you able to pick up a seashell, and know it died 521/2 months earlier? Evolutionists can pick up a fossil shell and tell you it died 525 million years ago! 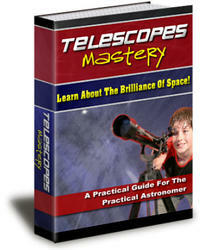 Through this ebook, you are going to learn what you will need to know all about the telescopes that can provide a fun and rewarding hobby for you and your family!